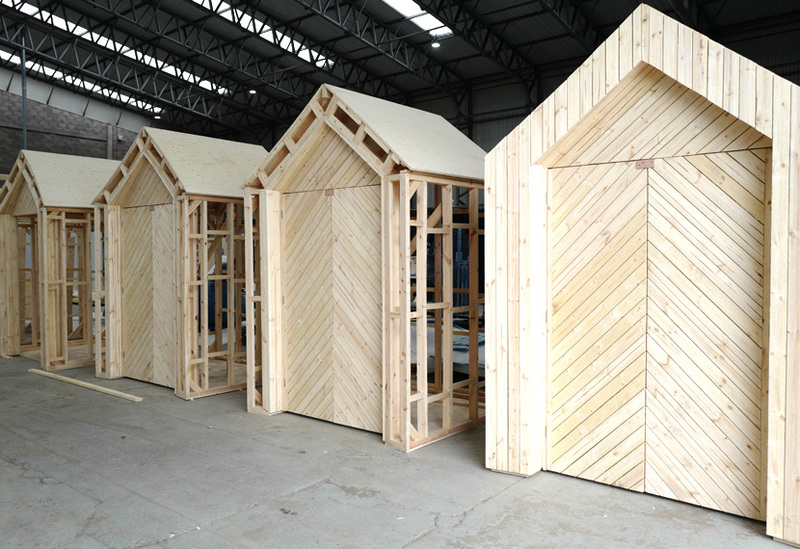 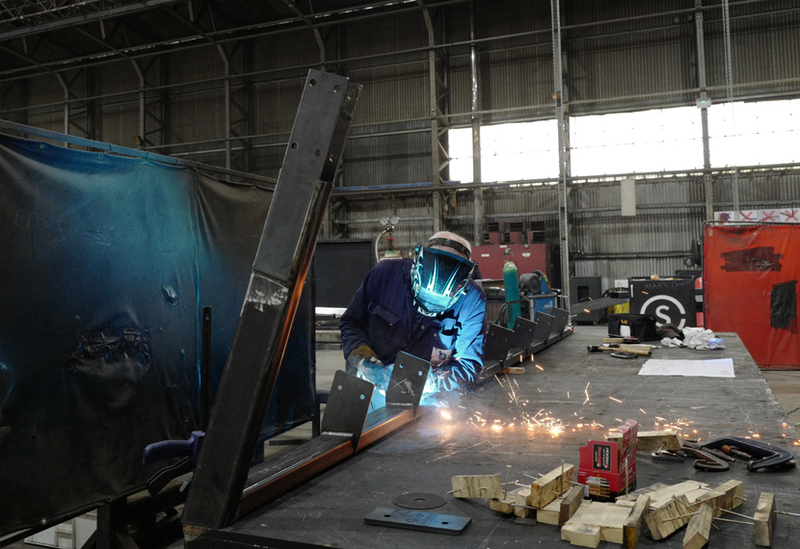 This build covered a huge 900 square metres. 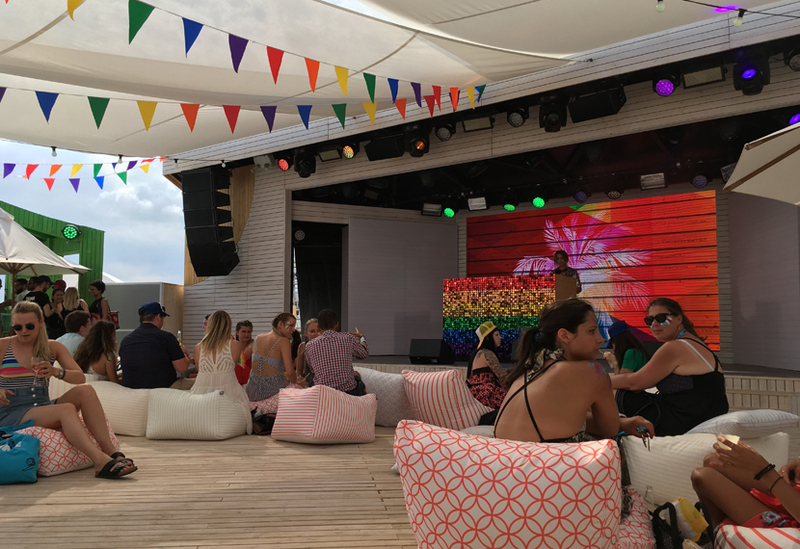 The holiday-themed environment comprised steel and wood structures, stages, demonstration areas, bars, seating, work areas and places to relax. 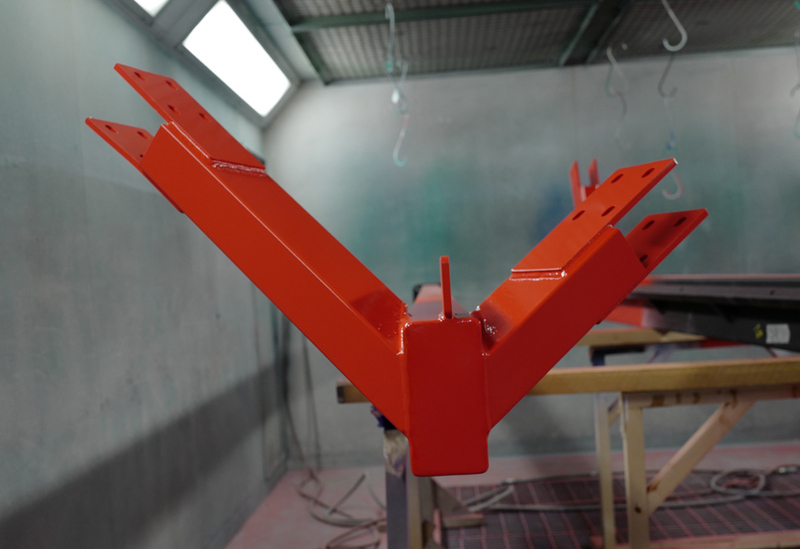 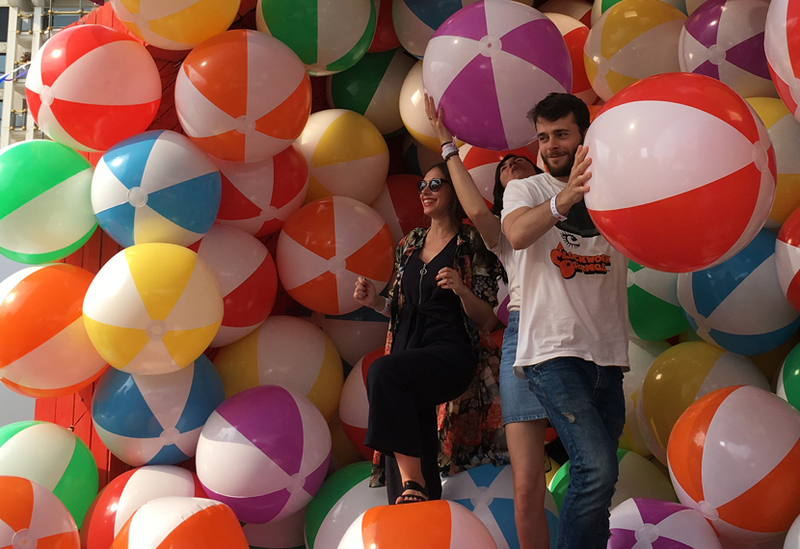 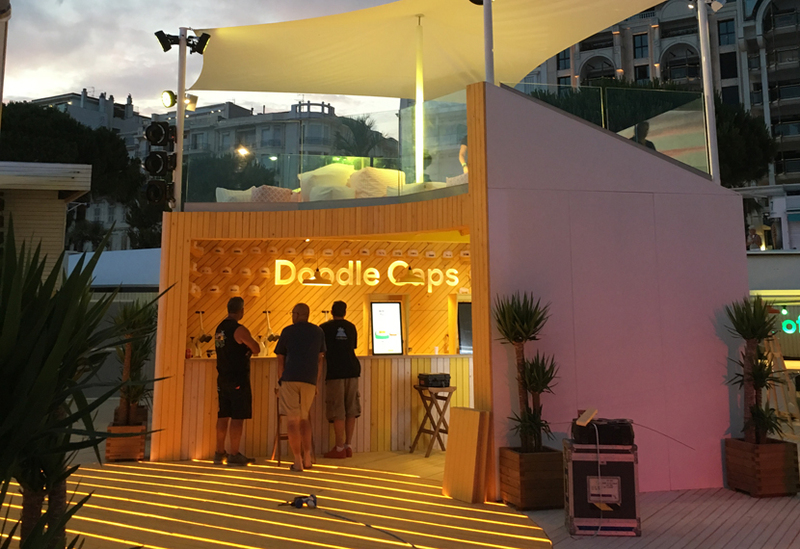 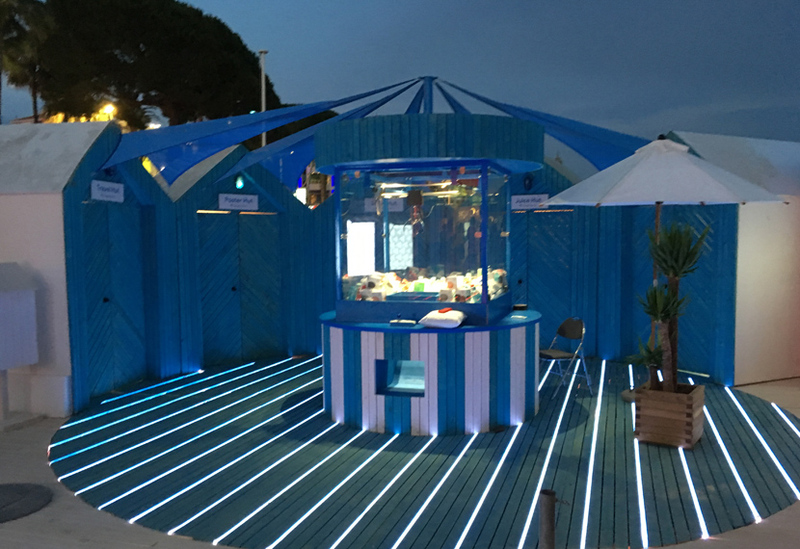 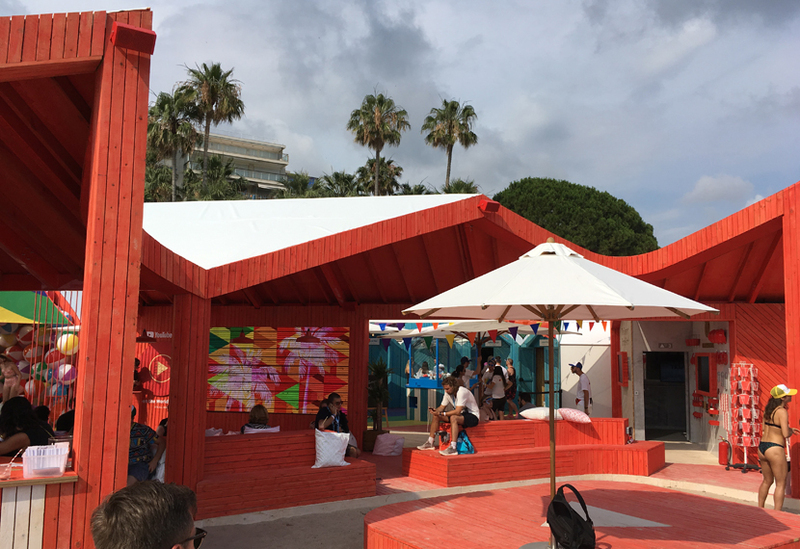 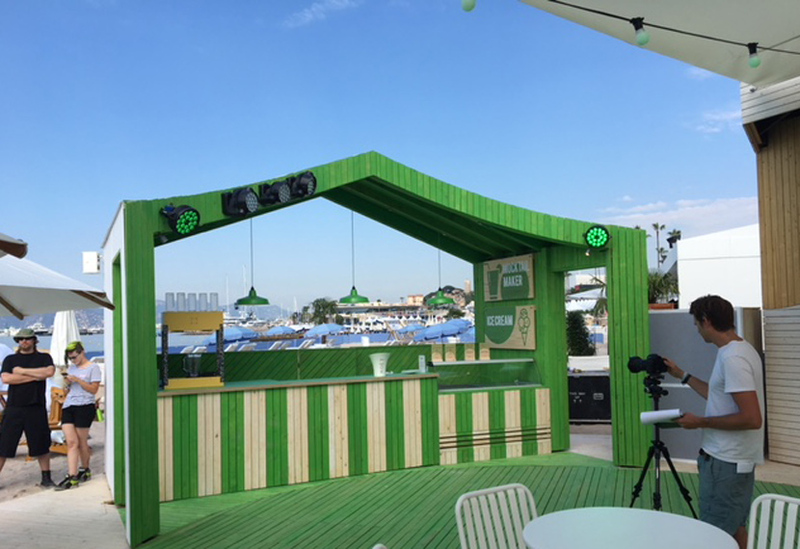 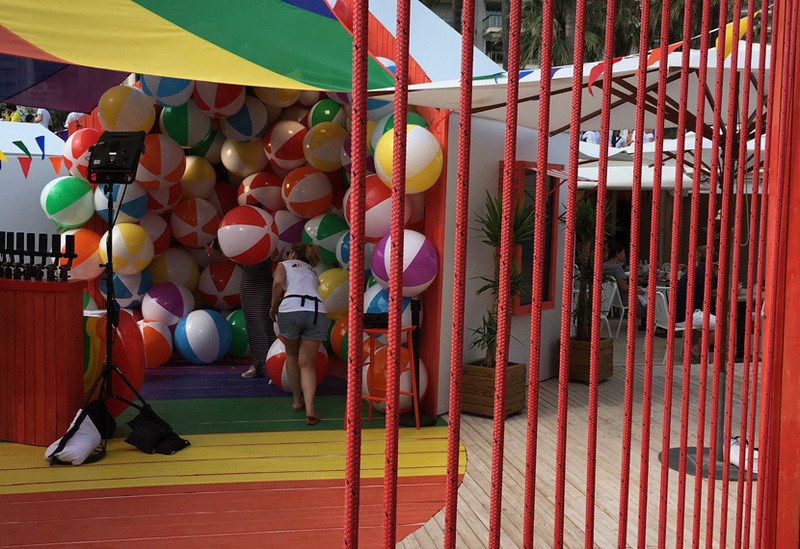 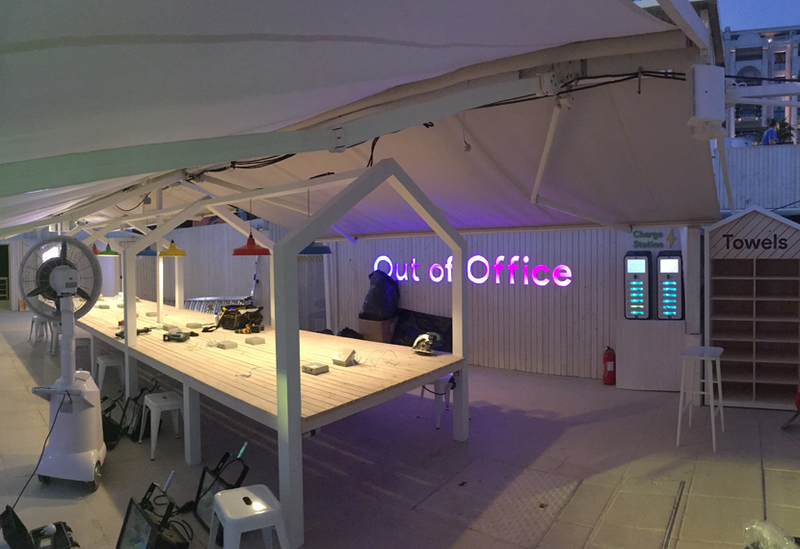 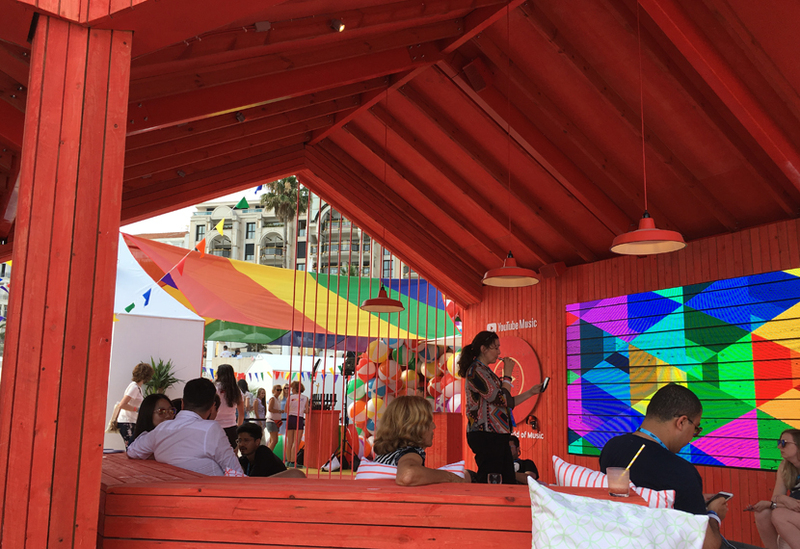 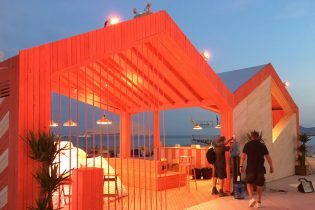 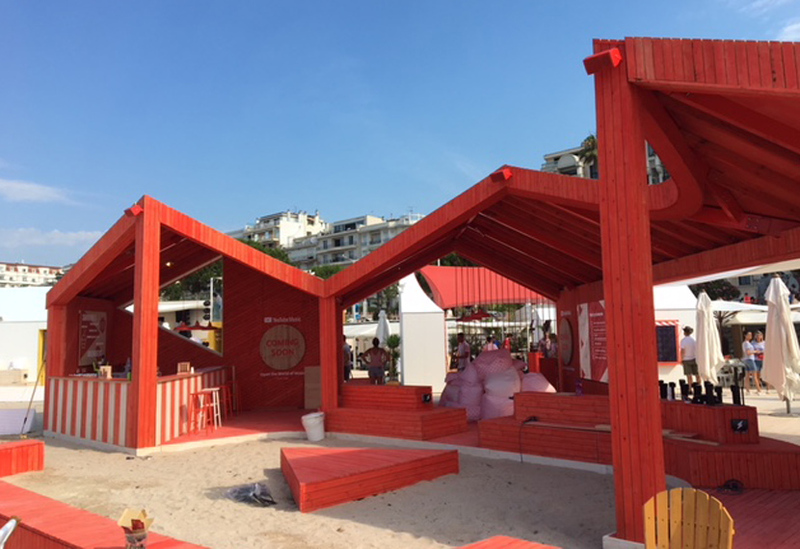 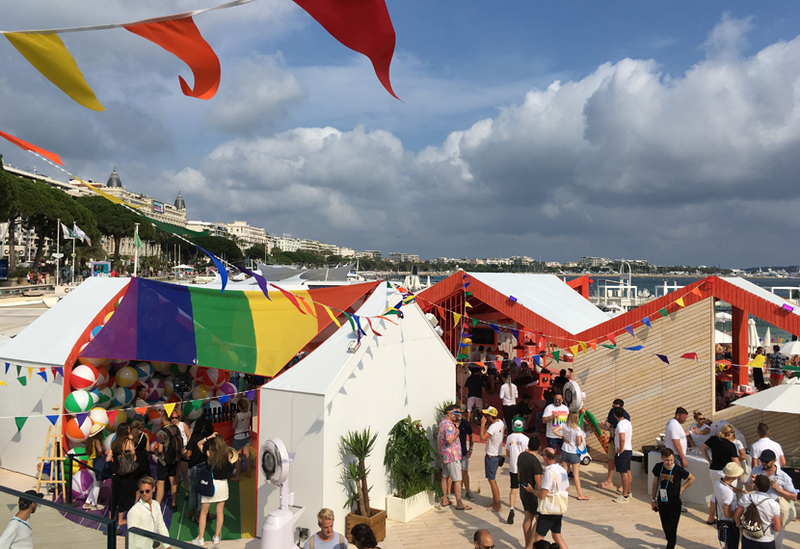 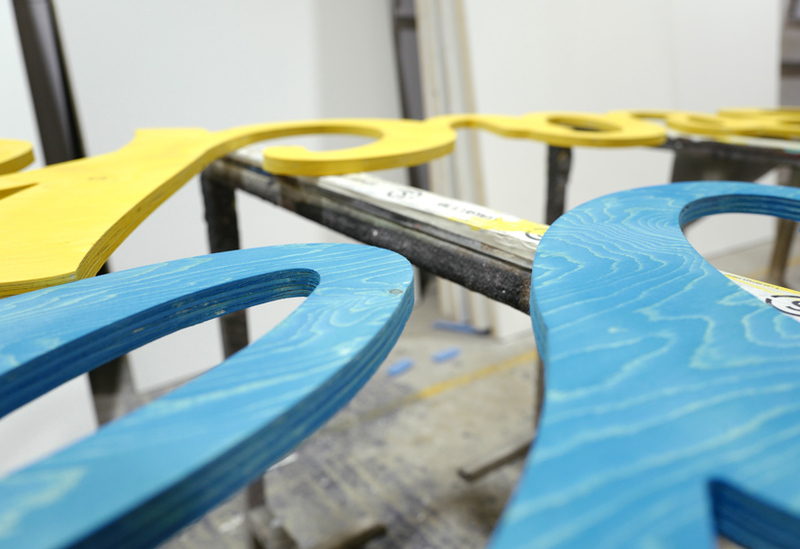 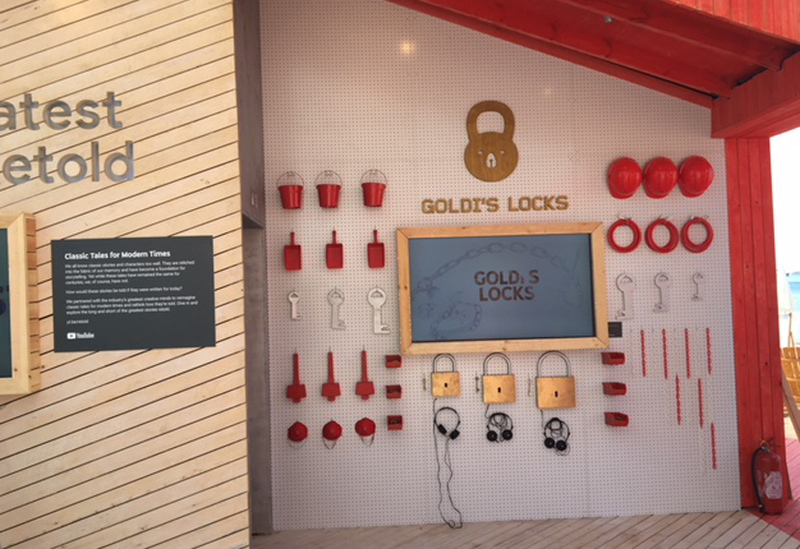 We manufactured and test-built the entire project in our workshops, our experienced team installing the set on the beach in Cannes in just five days. 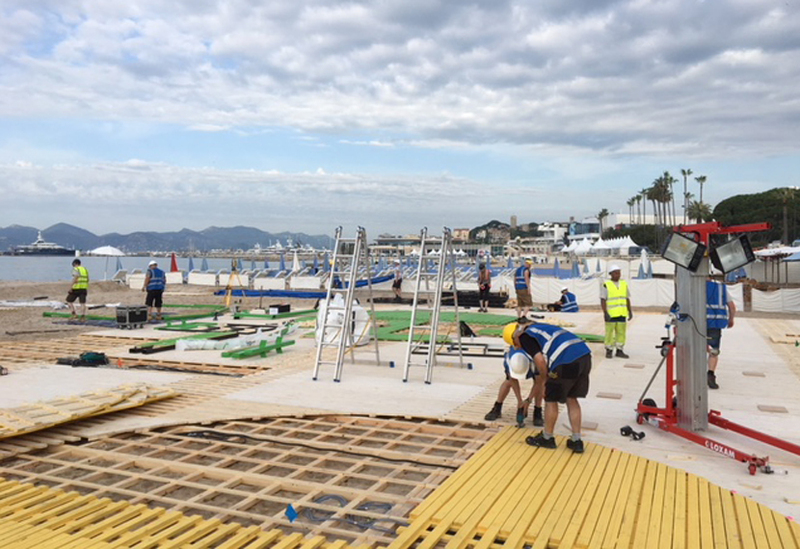 The entire area was covered with decking, steel anchors providing a robust base for the flooring. 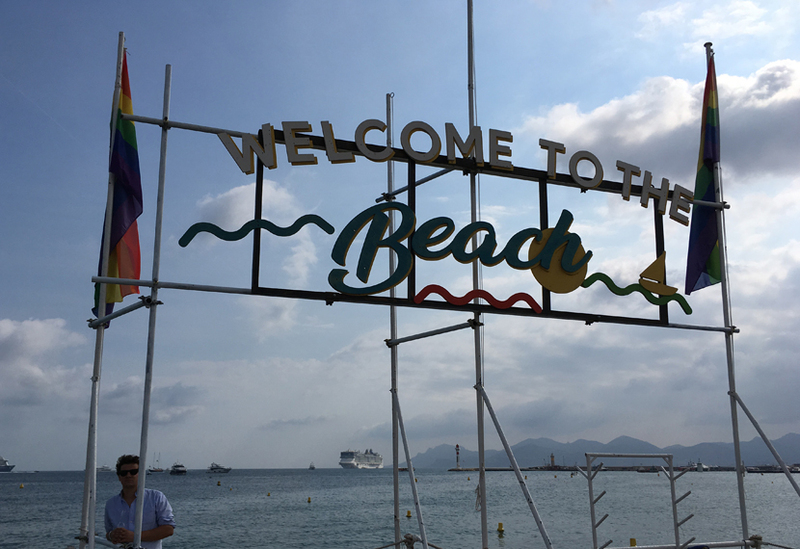 The various structures were steel-framed, the larger assemblies supported by steel uprights robustly anchored into the sand. 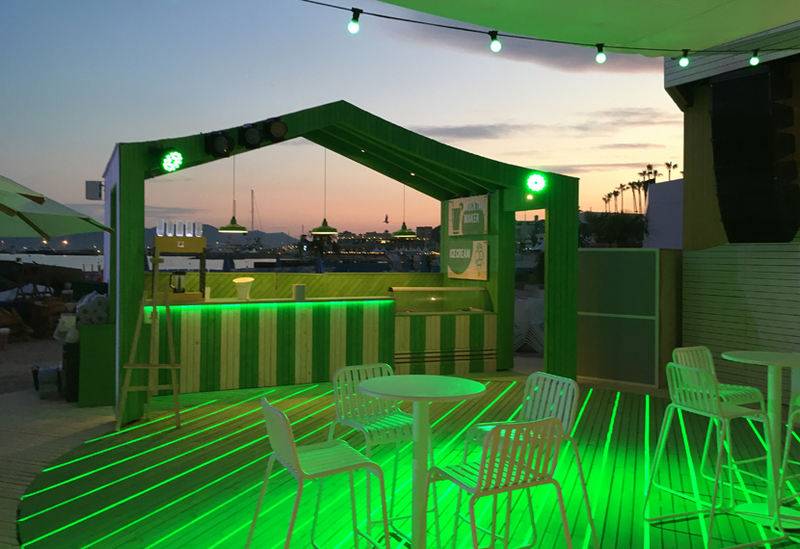 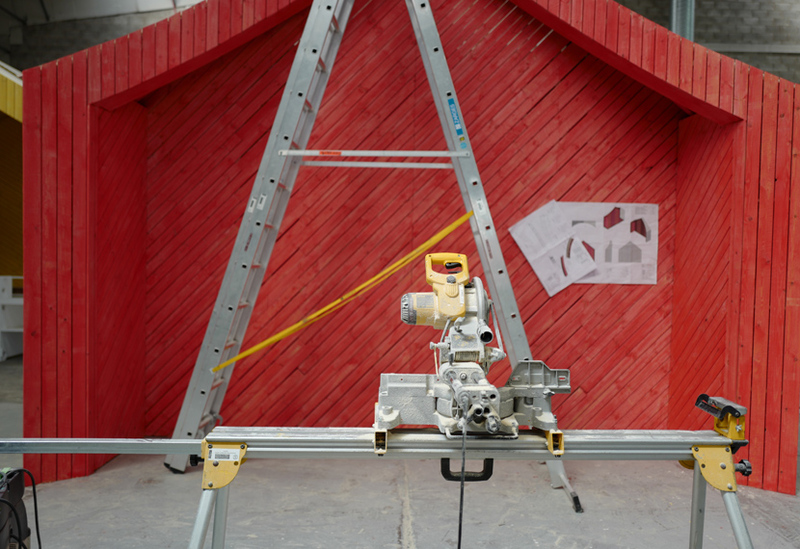 Externally, the MDF walls were painted white and all roofs were finished with a white PVC fabric. 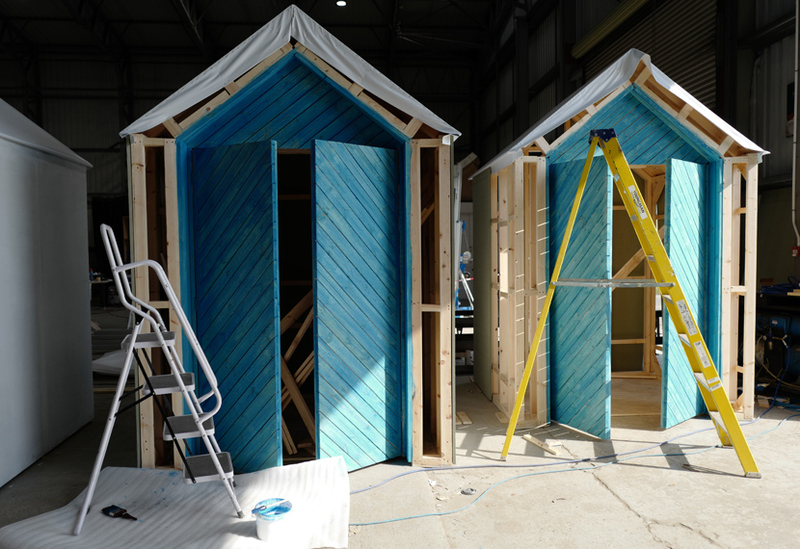 The multiple pitched roofs and painted sawn timber cladding to both interiors and fascia created an informal beach-hut feel. 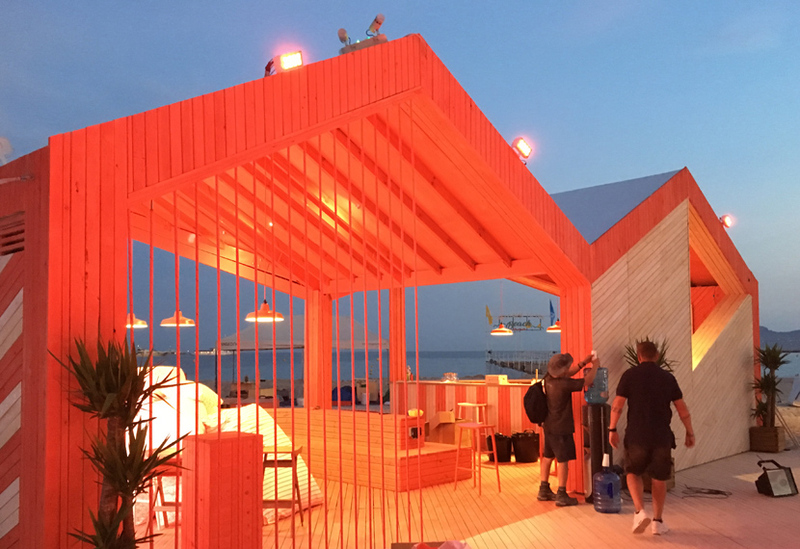 The orientation and colour of the sawn timber in both walls and decking was used as a design feature throughout, helping to denote the different zones. 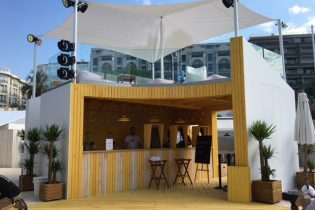 The beach-holiday theme was echoed further in the scenic painting, use of bespoke beach hut units, sail-like canopies and various props.